The City of Albany, along with the Capital District Transportation Committee, developed a Complete Streets Policy and Design Manual in compliance with legislation that was passed by Albany's Common Council in 2013. Not only does Albany’s Bicycle Master Plan classify City streets according to varying cycling abilities, it also identifies key locations to effectively reconfigure for complete streets--that is, adding street designs and features to make the roadway safe and accessible for all users. The City of Albany’s historic network of streets and buildings has evolved since the City’s early foundation as a trading post and Port location in the 17th century. 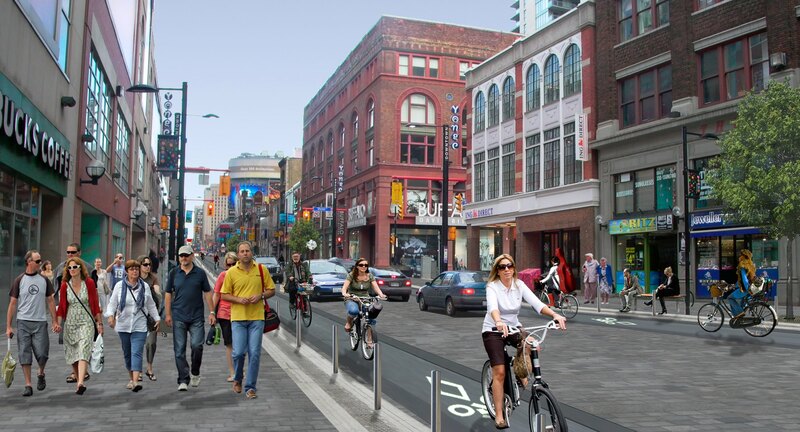 However, as the City has grown and expanded, street use and mobility within our community has changed. The City of Albany, located on the banks of the Hudson River in the heart of the Capital District, is proud to be New York State’s Capital City. Albany is a beautiful destination, offering valuable resources for higher education and sustainable living, vibrant and active urban centers, and desirable neighborhoods.